» Concrete Filled PVC Forms - My Guy, Inc. This product brings a bright new face to concrete form construction by combining standard concrete form methods with an easy-to-clean, sanitary surface. 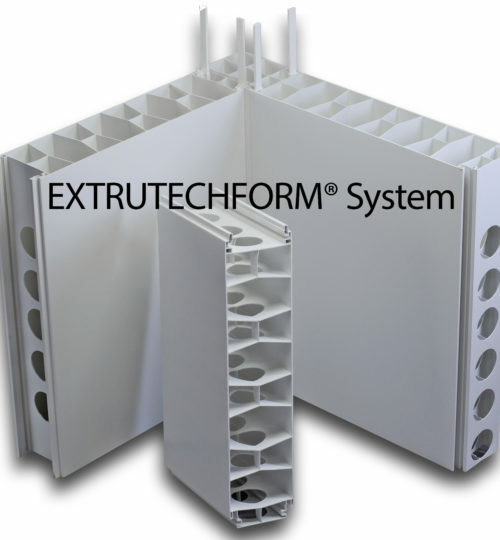 This versatile, builder-friendly system features a two-foot wide, six inch thick precut panel that snaps together and locks in place using a double-spline E-Locking System. It creates a structural wall system that is a time-saver for both contractor and client, resulting in a bright white, sanitary, easy-to-clean finished wall. My Guy, Inc. has skilled technicians and are trained in every aspect of your wash operation including concrete filled PVC forms. Contact us for a free consultation.